New Zealand's favourite story celebrating all aspects of kapa haka is fun for the whole whanau to read together! These are the poi that circled and twirled above the heads of the singing girls who wore the piupiu that swished and swirled, made from the flax that Koro cut, that th... read full description below. 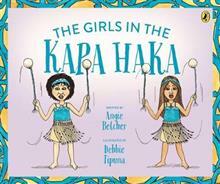 New Zealand's favourite story celebrating all aspects of kapa haka is fun for the whole whanau to read together! These are the poi that circled and twirled above the heads of the singing girls who wore the piupiu that swished and swirled, made from the flax that Koro cut, that the mussel shell scraped, that the kuia made, that swung from the hips of the girls in the kapahaka. Angie Belcher (Author) Angie Belcher is a writer, teacher and adventurer who has has produced several books for children. 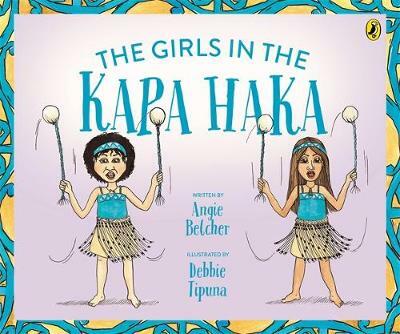 Her now classic The Girls in the Kapa Haka was published when she lived in the tiny seaside settlement of Maketu, the landing site of the great Arawa canoe. Angie was inspired to write the story after seeing one of the village kuia making piupiu and watching the children from the Maketu School kapa haka group perform at their local marae. Angie lives in Rotorua, New Zealand. Debbie Tipuna (Illustrator) Debbie Tipuna is a full-time artist and children's book illustrator who lives in the beautiful coastal city of Tauranga, New Zealand. When she worked on The Girls in the Kapa Haka she lived in Te Puke, a little inland from Maketu. For the illustrations she drew on her experiences as a student at Waiariki Polytechnic, where she developed her love of Maori arts and crafts, learnt to weave flax and also learnt that the poi was not her forte!